Cate: Please give a warm welcome to Sherry Gloag. Sherry, will you please share a short bio with us? Sherry: Since the publication of my debut novel The Brat, published by The Wild Rose Press in October last year, I have had two more books published. 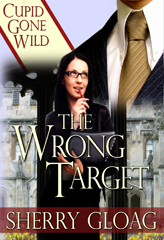 The Wrong Target,a Valentine novella published by eTreasures in January, and Duty Calls, published by Black Opal Books in February, plus two more short stories, one in January and the other in June this year. I am a Scot, living in the beautiful English county of Norfolk. I love spending time walking and talking with my characters, as long as no one else is around. The great thing about gardening is the plants don’t answer back! When I have a good book in my hands I forget about time. And when I’m writing I feel as though I’ve come home. Well, most of the time. I also enjoy working with selenite crystal handcrafting gifts and jewelry. Cate: Congrats on your releases! Tell us about your latest, Duty Calls and where it's available. 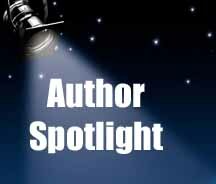 Sherry: Duty Calls is publishedby Black Opal Books. Rafe is introduced to Trudi, by his long-time friend Arthur. A decade and many changes have passed since their first encounter one stormy night, and they don’t recognize each other. It is this lack of recognition and later revelations that derails the lives, not only of Rafe and Trudi, but everyone around them to a greater or lesser degree. Cate: Sounds suspenseful. Please tantalize us with a story blurb or excerpt. "I can't think of a single reason good enough that justifies you resurrecting events that nearly cost me my life, and possibly cost the life on an unknown woman." Sherry: Rafe has issues from the past he refuses to face, until, that is, the ghosts of his past rise up and challenge him. And he is not a happy bunny. While he fights the inevitable to the bitter end, and faces many personal challenges, his biggest hurdle is allowing himself to fall in love. Rafe is strong enough to recognize his weaknesses and act upon them if it means winning the big prize. And he’s determined to win it, and all that comes with it. Sherry: Now, you have stumped me with this question. I’ll paraphrase something a reviewer said about The Brat, “Gloag’s writing is a unique blend of mystery, intrigue, drama, romance and passion. There is no way to predict what will happen next.” That may sound kind’a like everyone else, until you realize I didn’t intend to write mystery or intrigue, but I sure liked those kind words, and they set me thinking outside the box for future WIPs, so much so, I am trying my hand at a Regency story. There’s still a long way to go with that one. Cate: What a wonderful review! Congrats. What's next for you? Sherry: I have just signed a contract with Astraea Press for a novella, From Now Until Forever. And I hope to write another Christmas story. I have the idea, the characters names but that’s all so far. And since most of my stories are character led, they better bustle about if they want anyone to read it anytime soon!! Cate: Wow, yet another contract - congrats again! What inspired you to draft your first story? Sherry: The characters? LOL. Seriously! They turned up, gave me the setting, but more disturbingly, my heroine gave me the opening scene, which in its original format was totally harrowing. What could I do? I had to find out if she survived let alone won out in the end! Although, not the first published, Duty Calls was the first successful story I wrote. Cate: Love it when characters demand you tell their story! lol Do you have a writing routine? Sherry: What is this ’routine’ thing you talk about? :-) I write when I can, and when the muse perches on my shoulder that usually means with as few breaks as she/he can get away with! Muse and DH have a love/hate relationship. They love to hate each other. Cate: Ha! Sounds familiar. :) Where can readers find you on the web? Sherry: What attracts you to ‘picking up’ a book by an unfamiliar author, and what is it that persuades you to buy it? 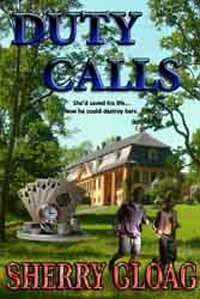 Readers, Sherry is giving away an ebook of Duty calls to a random commenter... so start commenting. She'll pick a winner next weekend and announce the winner here. Thanks so much for being my guest Sherry! Best of luck to you. Hope you have a fabulous LD w.end. Now you've made me even more curious about how Duty Calls turns out. Things that attract me to a new author are cover and blurbs that create story questions. I like your new cover, Sherry! :-) LInsay. Music to my ears. Thanks for coming by, and I hope you're enjoying your LD w.end. Thanks for your kind words Heather. Our own Pepper designed the cover for Duty Calls. Thanks for sharing your thoughts on discovering new authors. What a great review you paraphrased. That alone makes me want to read the book. The covers are gorgeous,and it sounds like you are well into your writing career. Good luck with your novels. Keep them coming. Lorrie, thanks for coming by. If you do buy The Brat :-) I hope you enjoy it.